There’s extra responsibility to respect both the time and privacy of student-athletes. 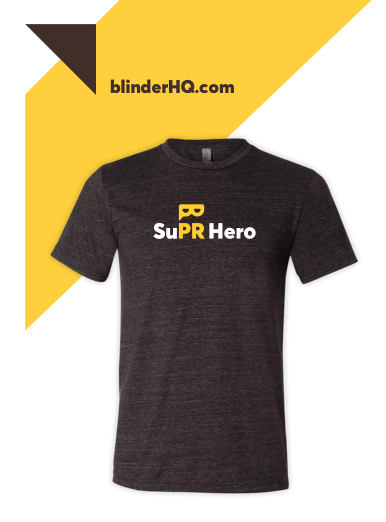 As the name suggests, they’re juggling two very significant roles – and those competing elements can put them under plenty of pressure. The same applies to the communications staff that represent them. 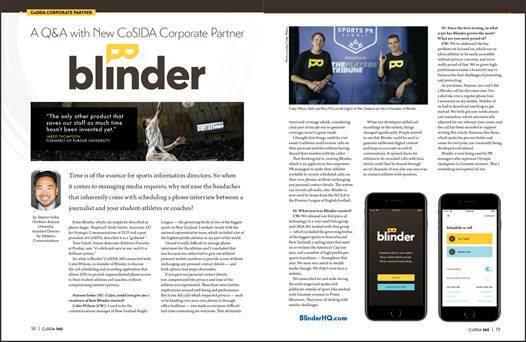 CoSIDA’s Fall magazine chatted with us about how Blinder is changing the way time and privacy are managed within US college sport. They also gathered the perspectives of Purdue and UCF, who are a couple of our US college clients. You can read the full Q&A between Stayson Isobe (Northern Arizona University) and Caley Wilson (Blinder), along with the thoughts of Tom Schott (Purdue) and Andy Seeley, (UCF) on pages 18-21 here. You can read more from Tom and Andy on p21 here. Big thanks to Stayson Isobe, Beau White and Doug Vance for shining the CoSIDA spotlight on Blinder. You can find out more about CoSIDA (College Sports Information Directors of America) here.